1 lucky winner will receive a pretty Korean bracelet and 2 Innisfree It's Real Mask Sheets. - This giveaway ends on September 30th. - The winner will be contact via email and have 2 x 24 hours to respond. - I will forward your personal details to MOOTTA and they will send the prize directly to you, so.. please note that I am not responsible for lost or damaged package. And please do not cheat, or you will be disqualified! 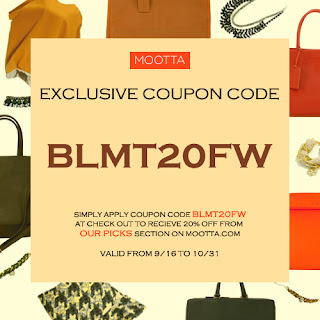 And oh.. MOOTTA also offer a 20% discount to all of you! Just shop in their 'Our Picks' section and do not forget to use the coupon code below to get 20% off! !